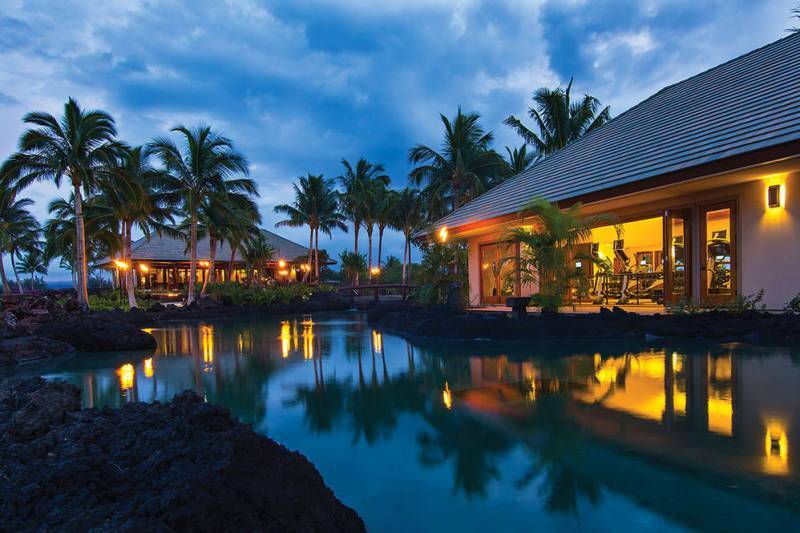 Represented exclusively by Hawaii Life, Ke Kailani oceanfront is selling custom home project sites in the Mauna Lani Resort. Elevated parcels are ready for immediate development. They’re the most compelling oceanfront and oceanview properties available along Hawaii Island’s Kohala Coast, and a rare design-build opportunity in the well-established Mauna Lani Resort community. Comprised of 59 custom project sites, the Ke Kailani oceanfront community presents the last design-build opportunity for buyers looking for custom residential construction within the exclusive Mauna Lani Resort. 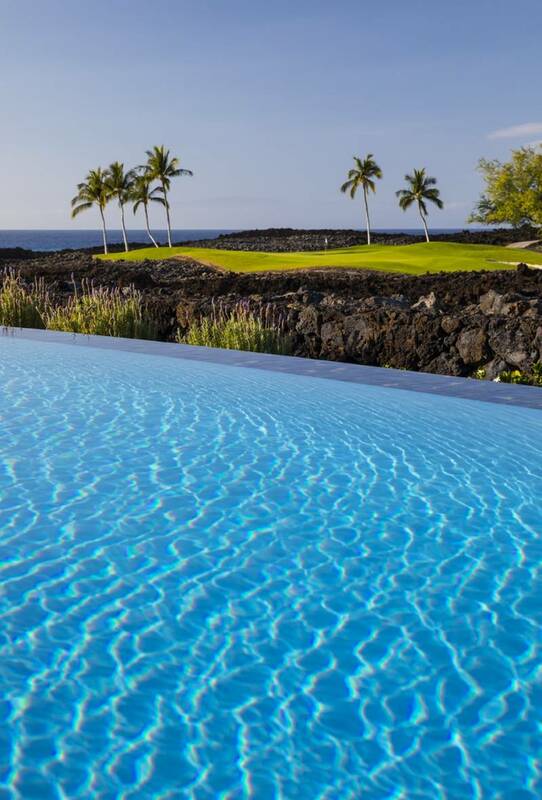 A seamless design-build process with experienced professionals, coupled with the opportunity to design a customized single-family home on the oceanfront within one of the Kohala Coast’s premier resorts makes Ke Kailani a tremendous value proposition for the spec-builder or owner-builder. All utilities are installed and Ke Kailani oceanfront lots have been greenlit by Hawaii County for immediate development. Ke Kailani’s available land parcels range in size from 0.36 to 8.13 acres. Impressive, elevated and fully graded lots offer unique aspects which enhance the location’s spectacular view planes, with panoramic ocean, mountain and golf course views from every custom home site. 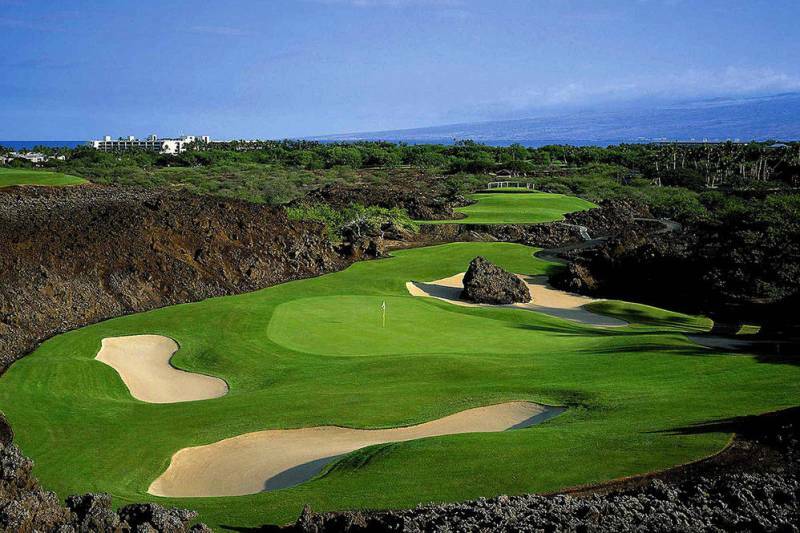 Ocean bluffs, lava fields, golf fairways serve as privacy buffers, adding to the quality of the setting. A secure, gated entry and the community’s small size, with just 59 custom home sites, add to the privacy and intimate feel of Ke Kailani. Detailed design guidelines and a straightforward architectural review process allow for modern and contemporary consumer tastes while maintaining high standards for coherent, quality design throughout the Ke Kailani oceanfront community. Design guidelines also serve to maximize privacy, further enhance view planes, and protect the investment of property owners, while providing a framework for a streamlined architectural review and seamless construction process. 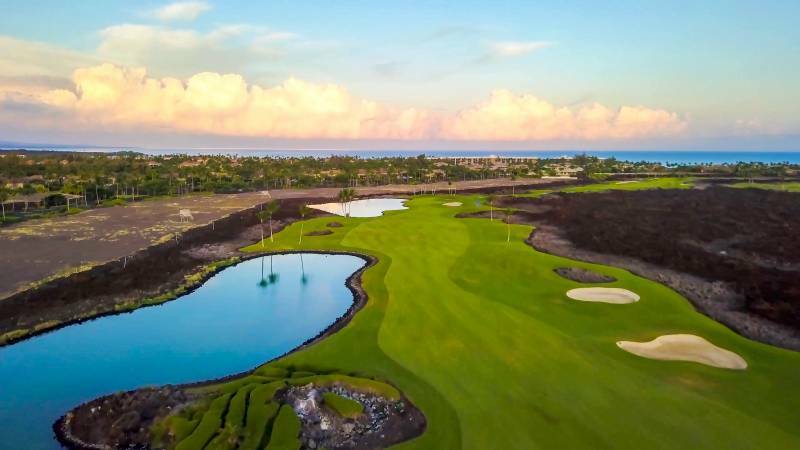 The well-established Mauna Lani Resort, in partnership with Ke Kailani Parners LLC, has a streamlined homebuilding process in place to assist builders to create their ideal, customized project in the location of their choosing. Flexible terms facilitate the process and allow builders to use their own design-build team, or opt for the local knowledge accessible through the developer’s network of award-winning architects, builders, interior designers, landscapers and artisans. Ke Kailani residents and guests will enjoy exclusive use of The Grotto, a community gathering place that features a spectacular infinity pool, two whirlpool spas, and two open-air entertainment pavilions perched at the edge of Ke Kailani’s dramatic shoreline. Exclusive to Ke Kailani residents, Hana Pono Park is a spacious, 5.5-acre recreation area with a state-of-the-art fitness center, adult and kids’ swimming pools, a barbecue area, and a Gathering Hale (pavilion) used for big screen entertainment and private conferences. The deluxe constellation of gated communities at Mauna Lani Resort is centered around the Mauna Lani Auberge Resorts Collection and Fairmont Orchid Hotels. Communities at Mauna Lani Resort have proven to be highly desirable real estate, sought after for their exceptional resort lifestyle amenities and prestigious address. 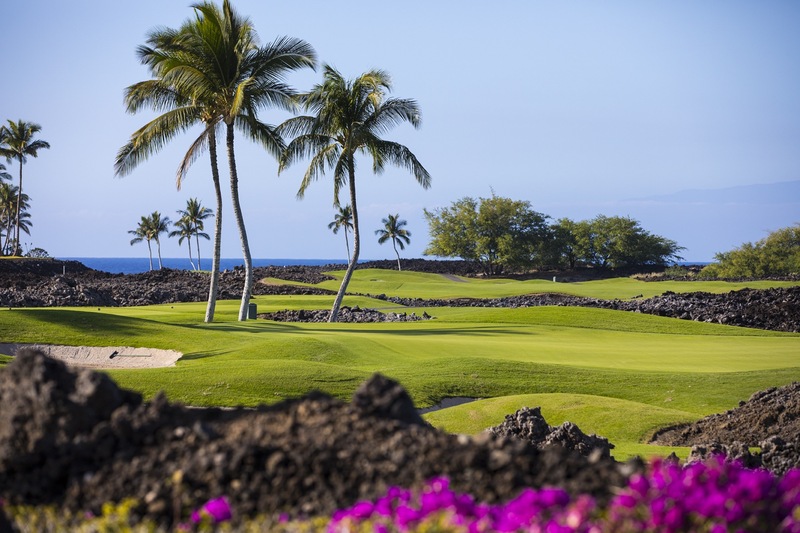 Mauna Lani Resort delivers on the demands of today’s consumer with two on-site championship golf courses, a state-of-the-art health and fitness center, tennis facilities, swimming pools, fine dining and boutique shopping. Residents of Ke Kailani will enjoy privileged access to the exclusive Mauna Lani Beach Club and its calm turquoise waters, sugar powder white sand, and a wide variety of watersports. Lots are being offered at a lower price than anything comparable in the area, priced from $700K to $9.6M, making Ke Kailani some of the most compelling oceanfront and oceanview land offerings in the area. Lot grading and elevated parcels provide unique, valuable ocean, mountain and fairway views. The potential for return on investment is high. Developer incentives include an offer to carry the land and pay HOA fees for a period of up to two years, making a purchase more cost-effective for buyers. The rare opportunity to build a single-family home within Mauna Lani raises the potential prestige, desirability and value of homes in the resulting Ke Kailani oceanfront community. Ke Kailani Partners, LLC is based in Honolulu, Hawaii. Ke Kailani is exclusively represented by Hawaii Life. To learn more about this opportunity to design and build a custom home or project, check out our recent posts.